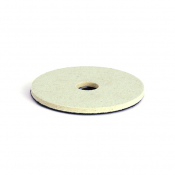 The Akemi Akelux Stone Repair System Basic Kit is ideal for the professional repair of all types of stone. Included within the kit is a large UV light for all sizes of repairs. This creates a virtually invisible repair that can be polished to match the surface colour.